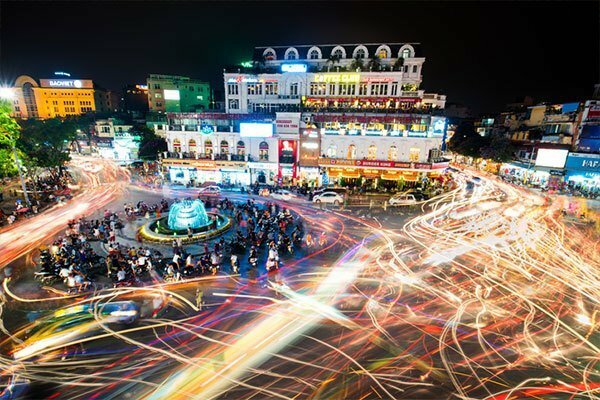 One of the busiest cities in Vietnam, Hanoi is full of hustle and bustle. Vietnam’s capital can at first seem a little overwhelming. 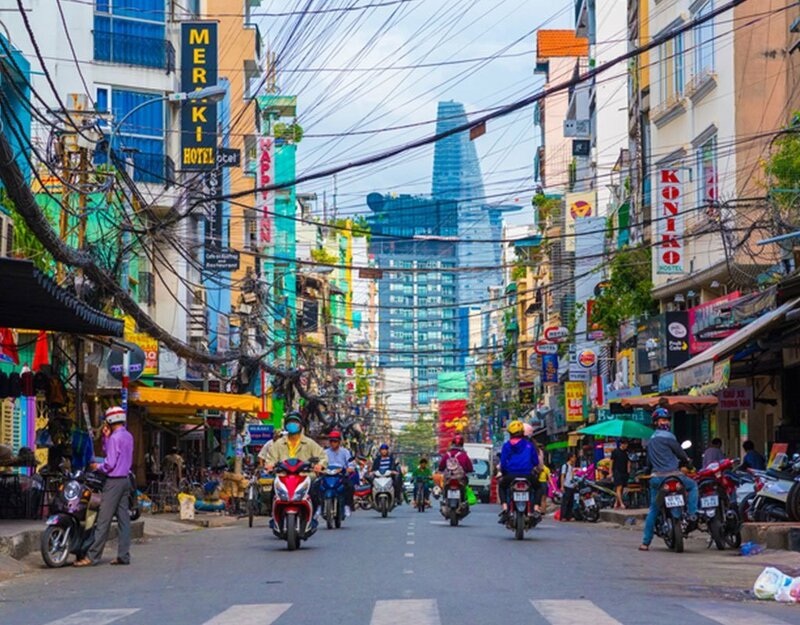 A city that’s home to more motorbikes than people, Hanoi is a perfect introduction to a country that’s unique, if somewhat chaotic. Beyond the crazy traffic, there are a multitude of things to see in Hanoi. Learn about Hanoi’s ancient history by visiting Heritage House and the Vietnamese Women’s Museum in the city’s Old Quarter. Then, treat yourself to some well-earned R&R in one of the city’s many spas. Wander around the tranquil Hoan Kiem Lake before you hit up the night market – a welcome pedestrianised respite from the insane traffic! 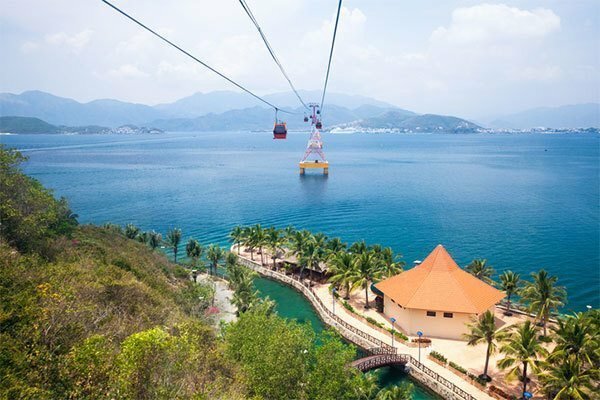 Nha Trang is one of the best beachside cities in Vietnam. Known for its beautiful beaches and infamous diving sites, Nha Trang is backpacker’s paradise. Stunning green hills leading to emerald waters create a stunning environment for a few days of rest and relaxation. Just an hour north of Nha Trang lies Ninhvana. Located in Ninh Van Bay, this all-inclusive resort offers locally sourced food, kayaking, guided jungle treks and much more. With activities galore, Ninhvana is your very own private paradise. Be lucky enough to spend a couple of days at this lush beachside resort on our 17 Day Vietnam Explorer! Famed for it’s Full Moon Lantern Festival, Hoi An brings a touch of elegance to Vietnam’s coastline. Cycling through Hanoi’s sleepy streets, you can easily feel as though you’ve been transported back in time to the colonial era. Hoi An’s riverside location makes it a wonderful place to be in when the full moon appears. Spend your days attending cooking classes and exploring rice paddies. Cycle around on two wheels to visit ancient monuments such as the Japanese Covered Bridge. Head into town at night to catch sight of the world famous magical lantern festival. 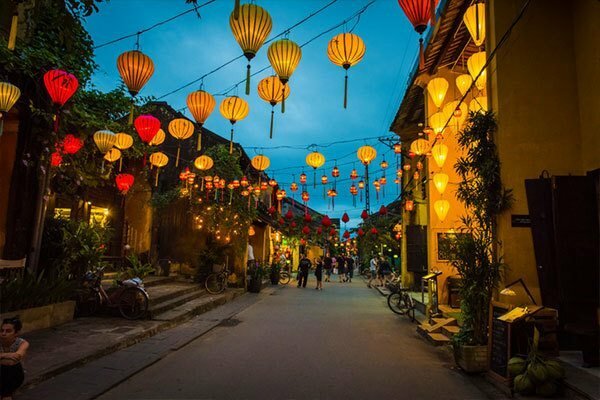 Weave your way through beautifully lit streets until you reach Hoi An’s Ancient Town, inundated with street vendors and multicoloured paper lanterns. 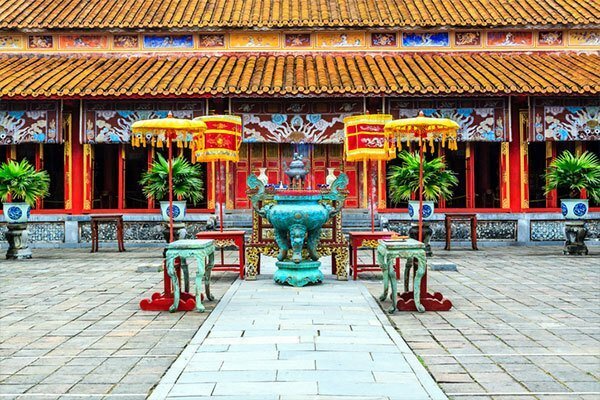 Often known as the Imperial City, Hue was Vietnam’s national capital from 1802 to 1945. As a result, the city is littered with intricate buildings from the colonial era. Most impressive of them all is the Citadel, or Royal Palace. The enchantedly-named Purple Forbidden City used to sit within the Citadel’s walls and protect the royal family from invasion. Due to the Vietnam war, large parts of the Citadel are now nothing more than rubble. It’s still worth a visit, though, as the structures that do remain are beautiful. Once you’re done touring Hue’s ancient buildings, hop on a dragon boat cruise along the Perfume River. Stop off at Thien Mu Pagoda and the Japanese Bridge for a little more culture. Formally known as ‘Saigon,’ Ho Chi Minh is one of the most populous cities in Vietnam. Ho Chi Minh City played a key role in the Vietnam War and is full of landmarks such as the Cu Chi Tunnels and War Museum. Once you’re done crawling through tunnels from the imperial era, experience beautiful French architecture at the Central Post Office. Then, round off your visit by practicing your bartering skills in Binh Tay Market. If you love the sound of the top 5 cities in Vietnam, why not join us on our 17 Day Vietnam Explorer, where we experience all top 5 cities and much more!